We offer hand addressing for our custom and semi-custom clients and can take on addressing-only projects when our schedules allow. 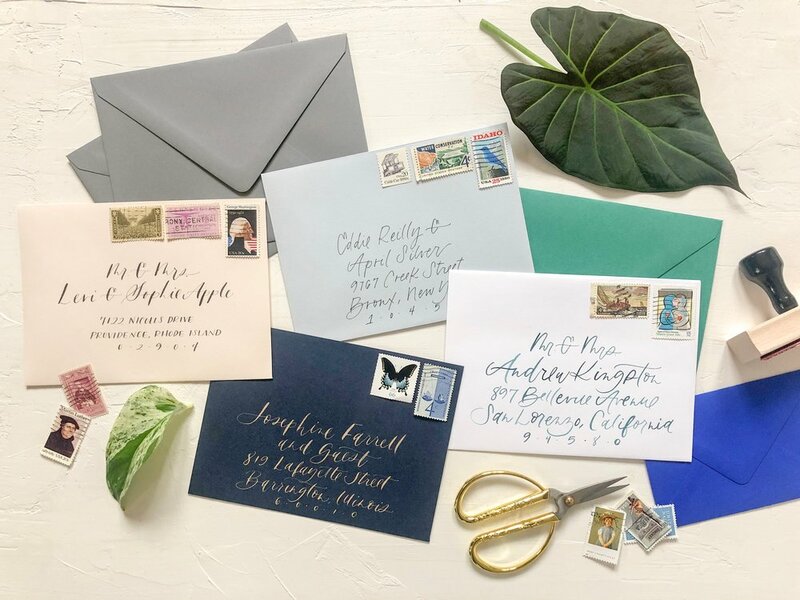 We address with pointed pen, watercolor and a monoline style, with script and cap options. These are some of our most popular styles, but we can always customize the look so it perfectly coordinates with your suite.